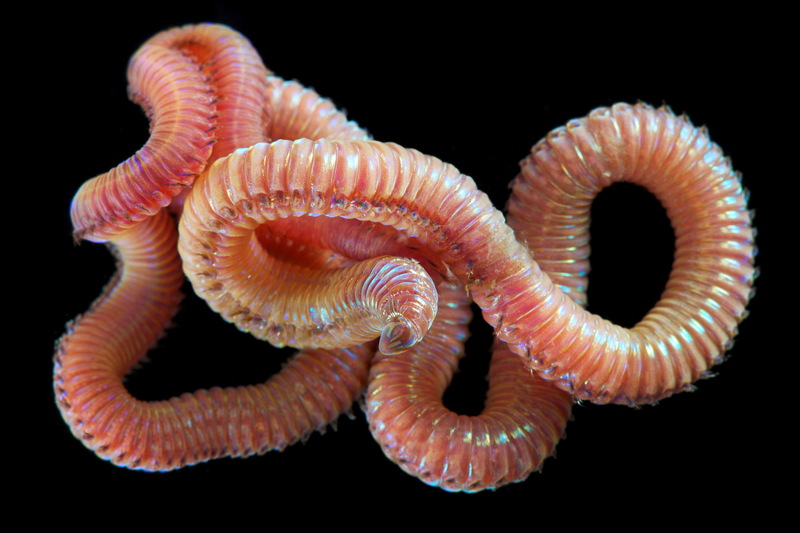 When the subject of worms comes up, people usually think of the common earthworm, or an ugly squirming bundle they saw in a horror film. 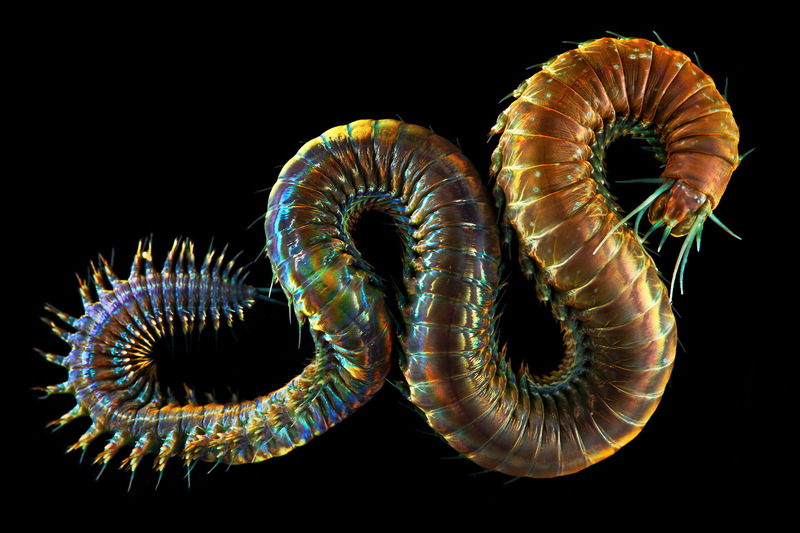 In nature, however, there is an incredible diversity of worms and some of them are actually quite beautiful in their own way. 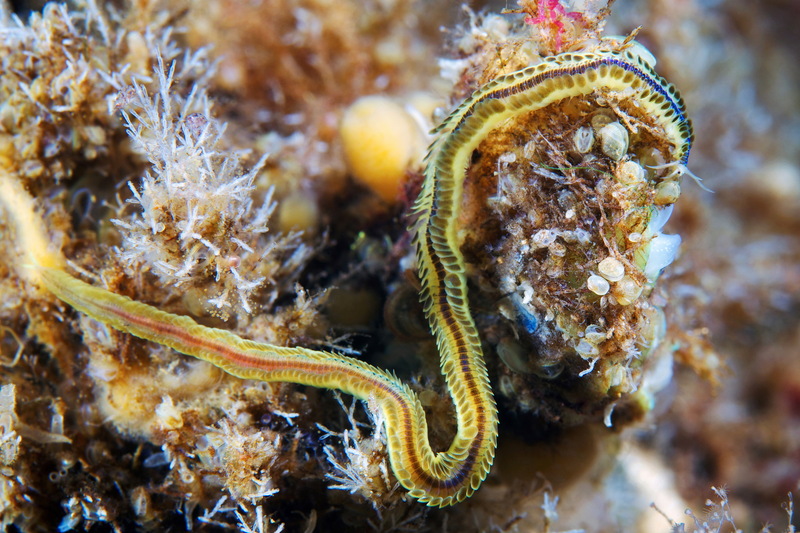 Most of them are polychaetes or bristle worms. 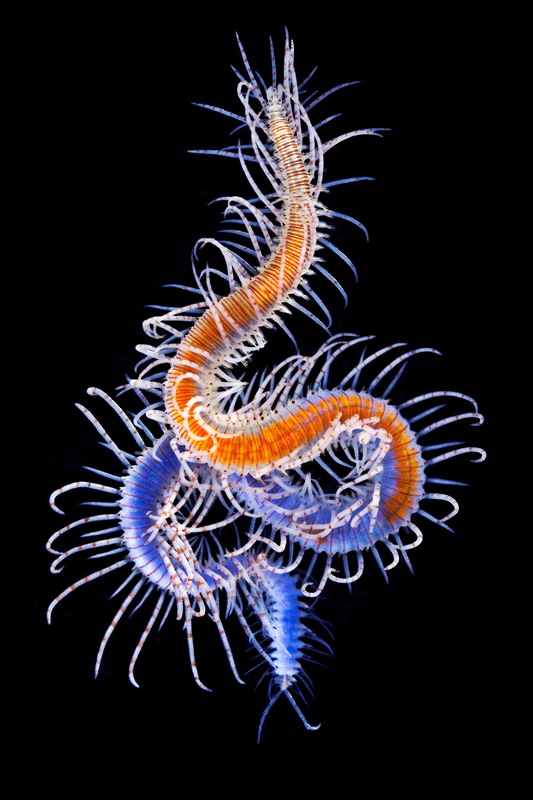 This is a very plentiful class of annelid worms that accounts for more than 13,000 species with very different anatomies. 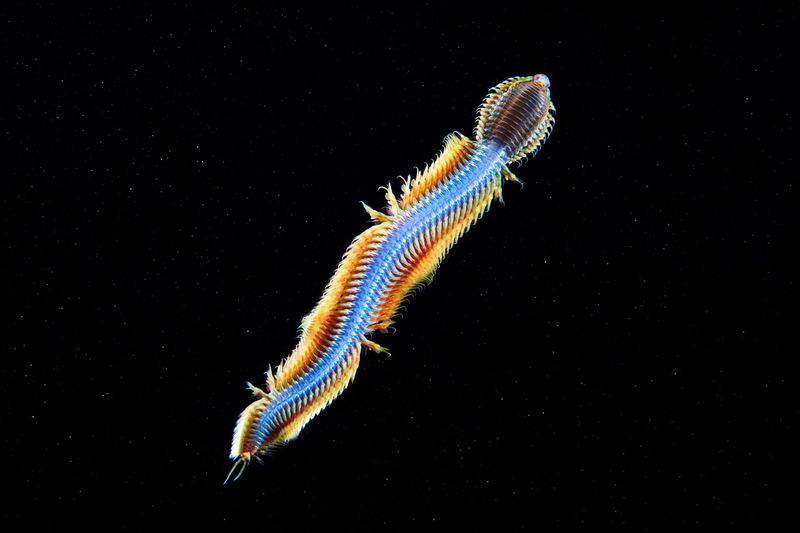 They are primarily sea dwellers that are widely distributed throughout the World Ocean and can be found at all depths, from the intertidal zone to the dark depths several kilometres down. 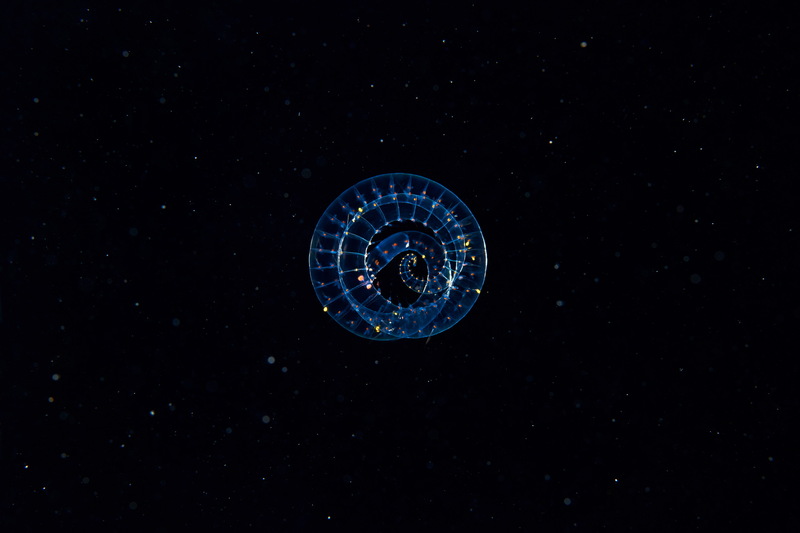 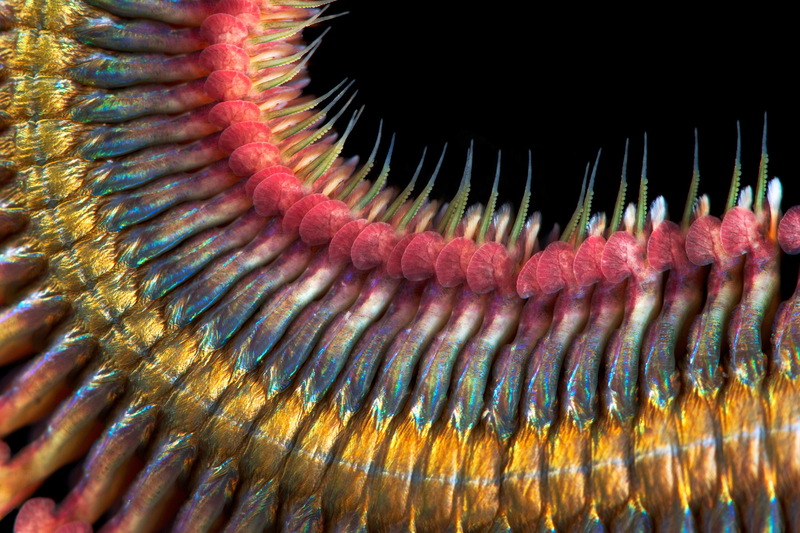 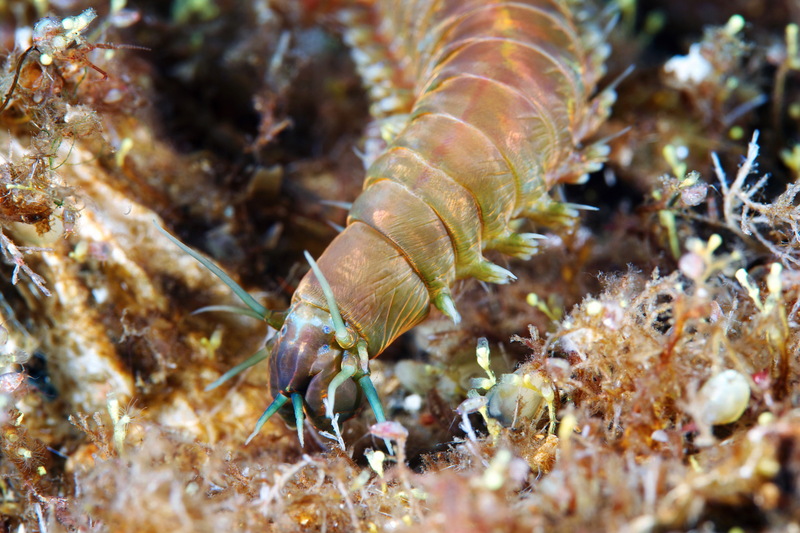 Polychaetes mainly live on the sea floor, but there are also floating planktonic forms. 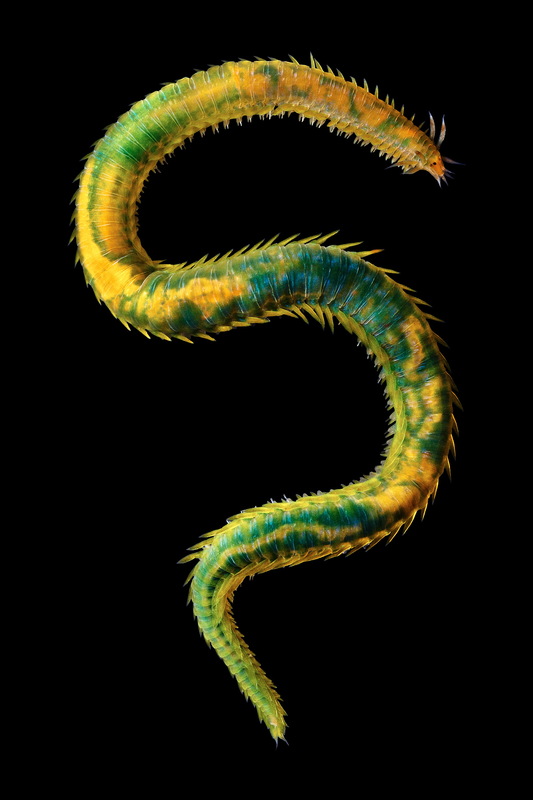 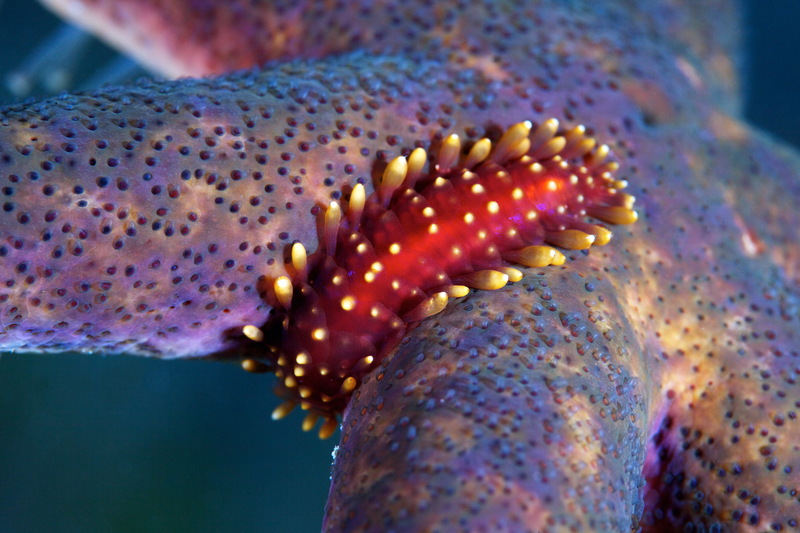 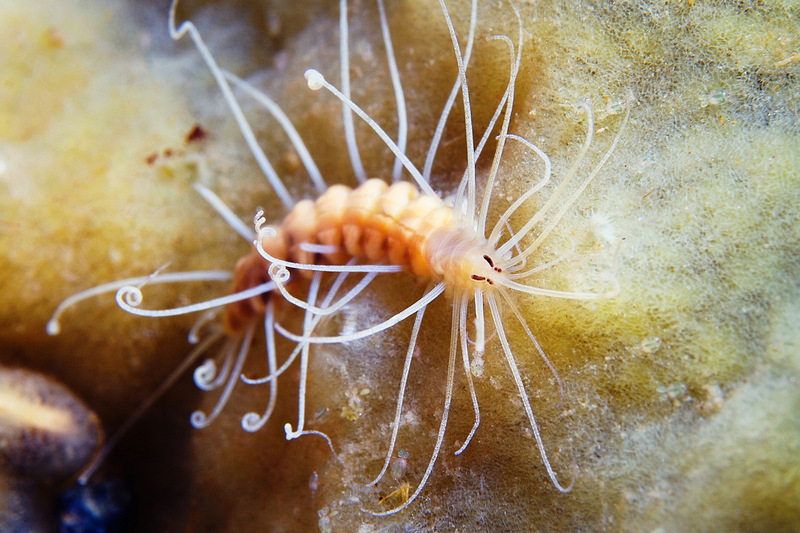 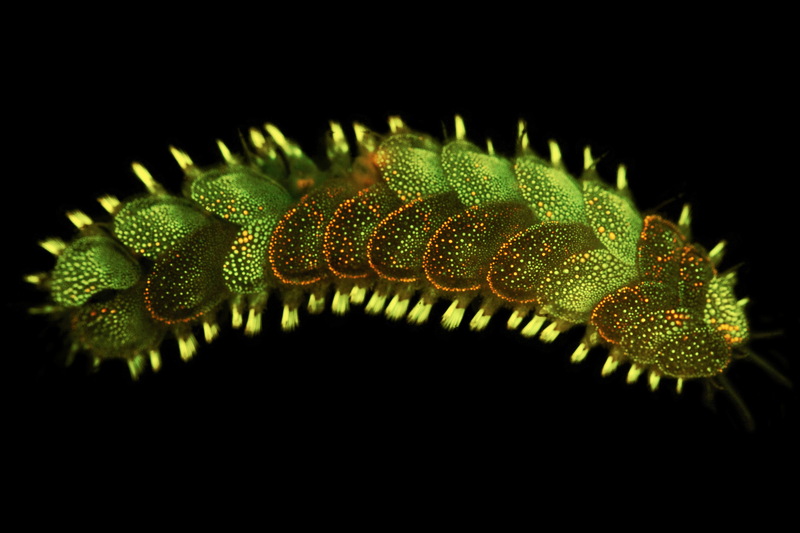 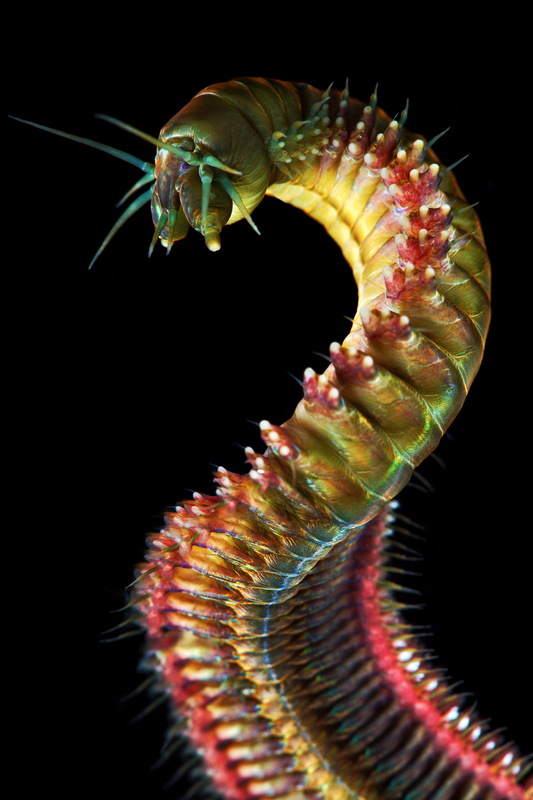 The main difference between polychaete worms and other worms is the polychaetes’ developed limbs called parapodia. 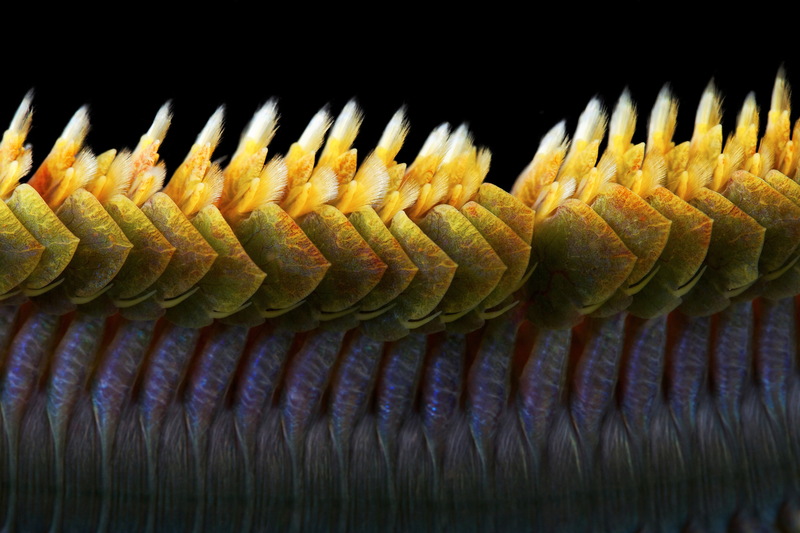 These limbs can be found on each segment of the worm’s body and grow chitinous bristles (chaetae). 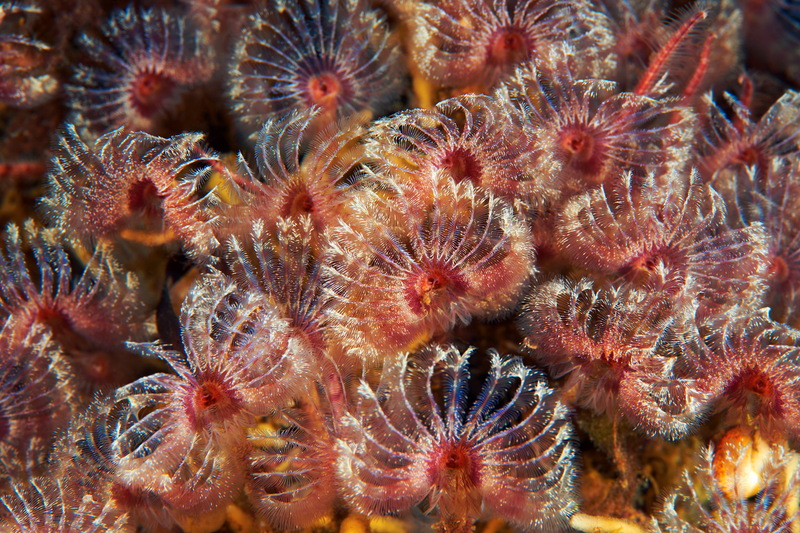 This group of animals has very different modes of feeding, moving and living, so it encompasses a huge number of worms that are quite different from each other. 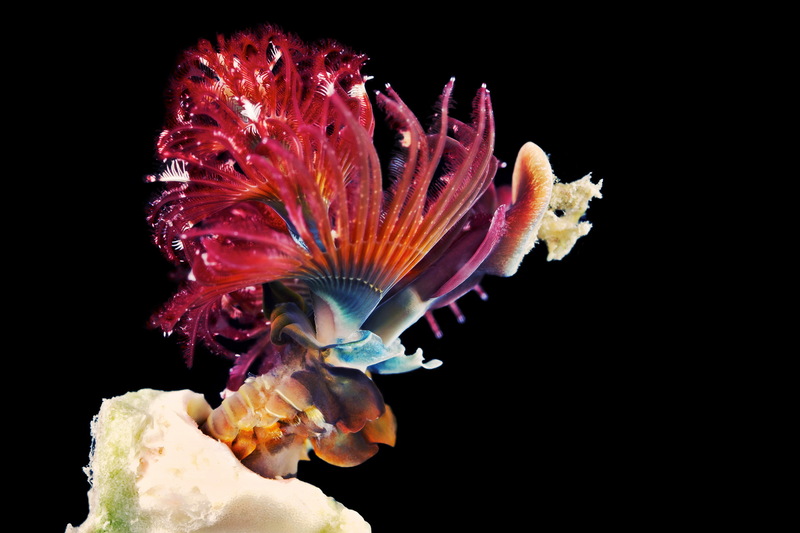 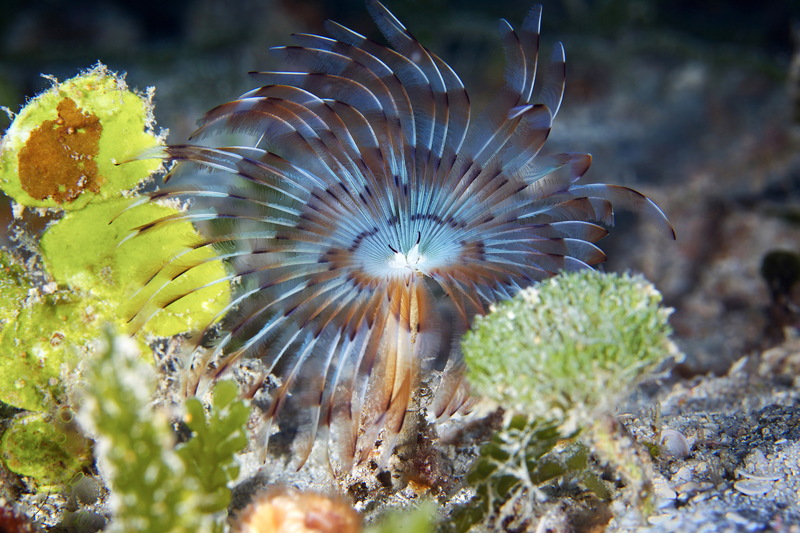 Some of them look like Chinese sea dragons, while others look like exotic flowers. 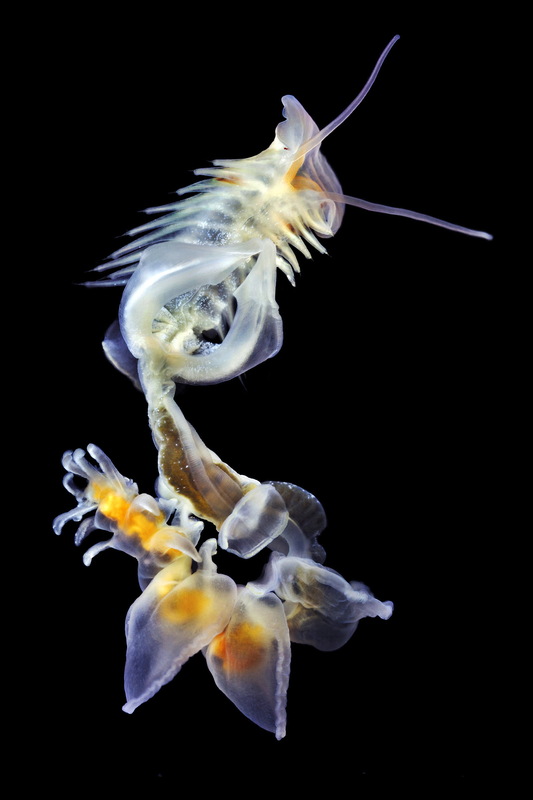 Some settle only inside the skeletons of dead whales which have sunk to the bottom of the sea, while others live in burrows and use their huge jaws to catch small fish and drag them underground. 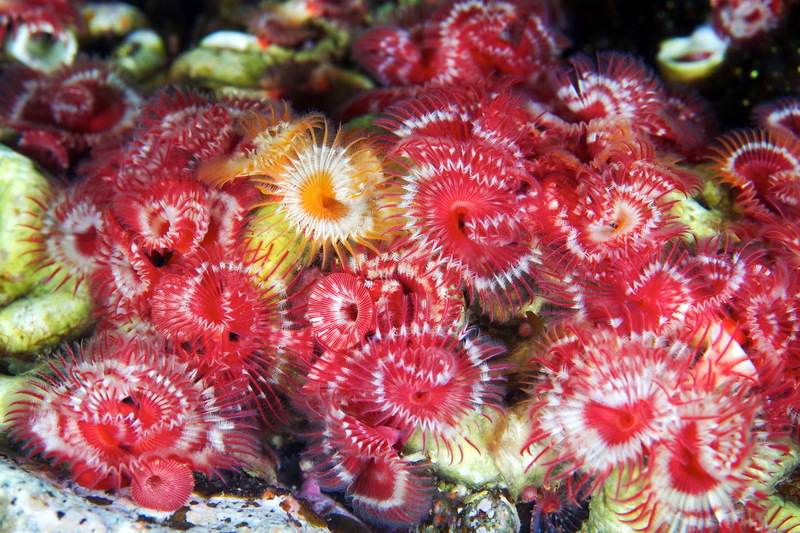 It would simply be impossible to list all of them! 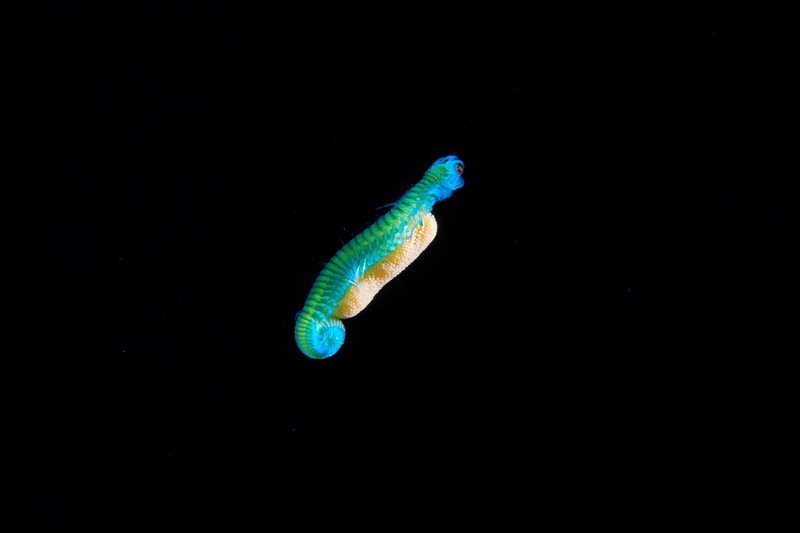 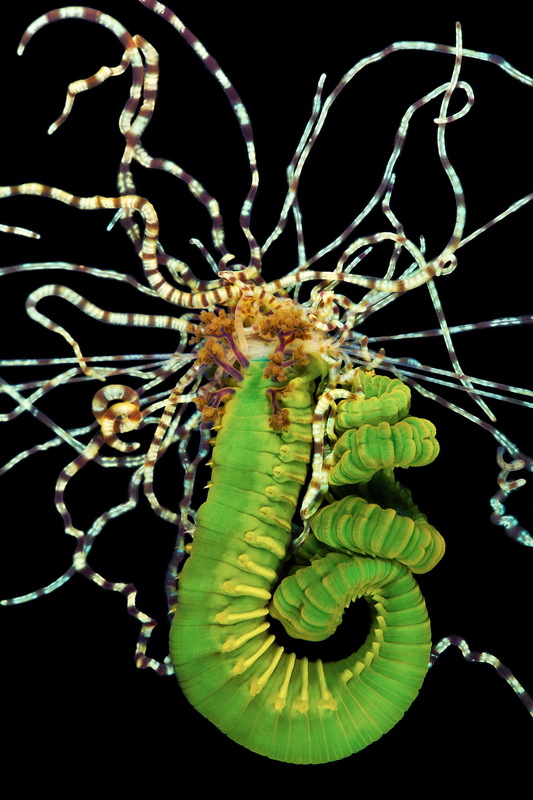 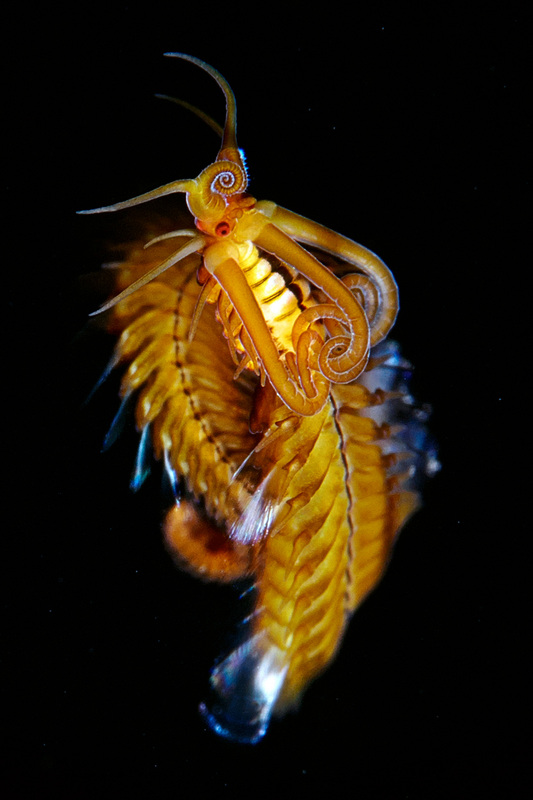 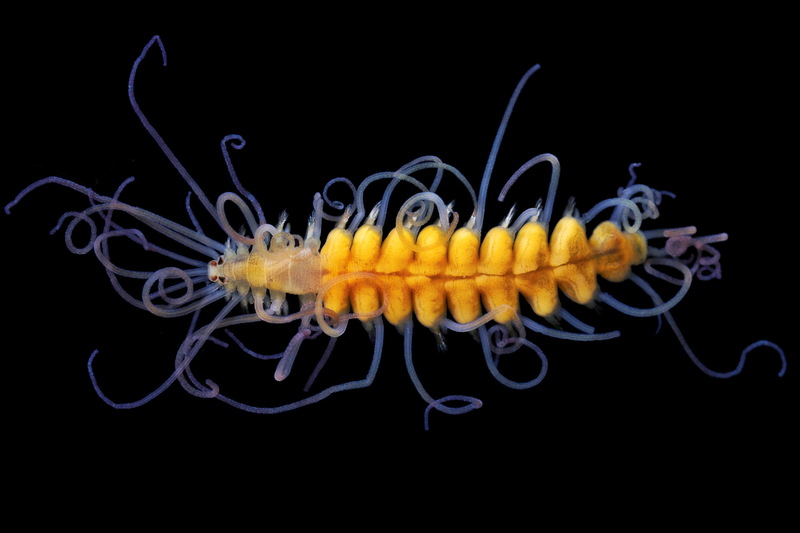 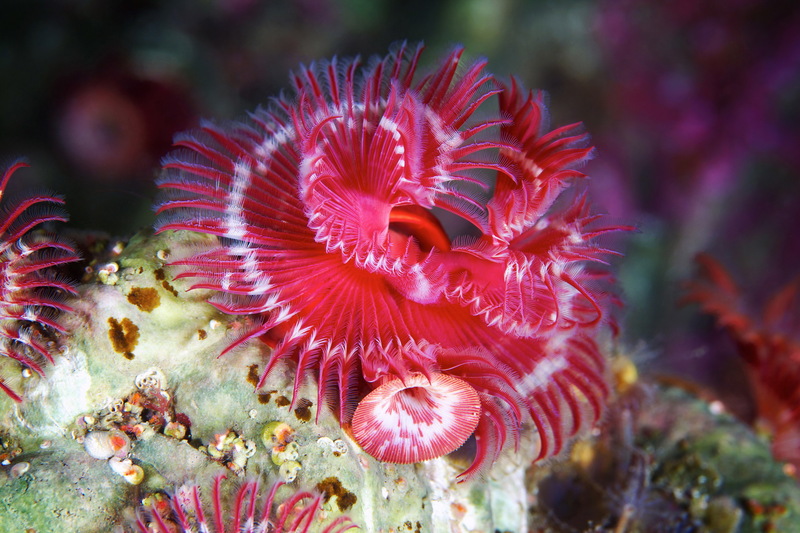 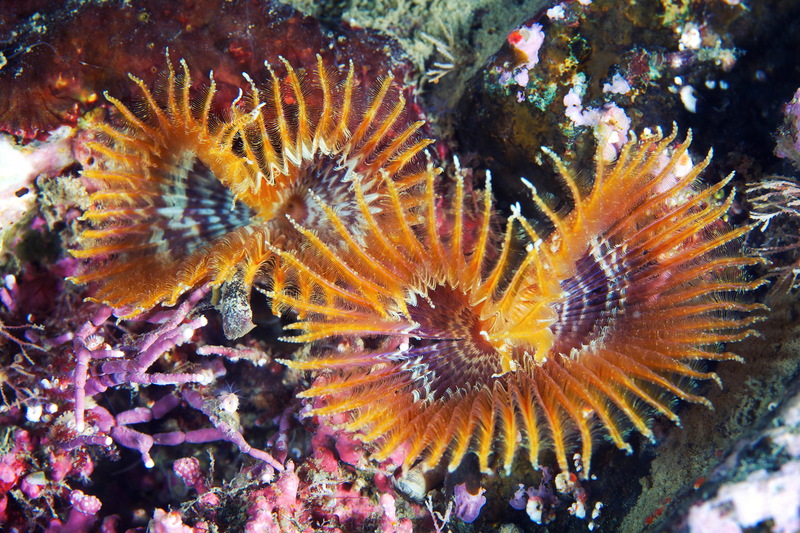 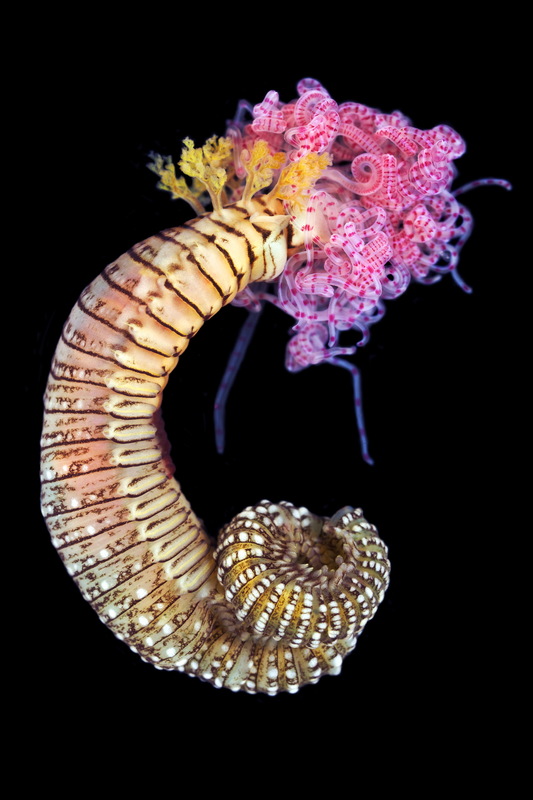 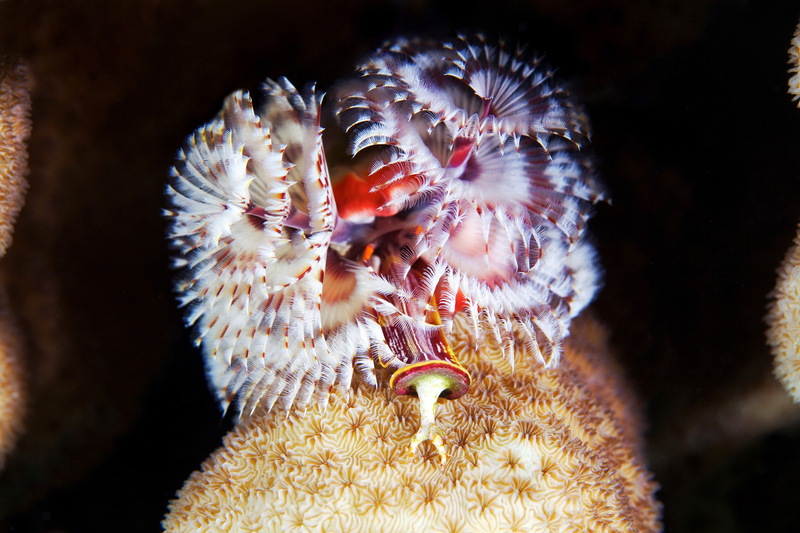 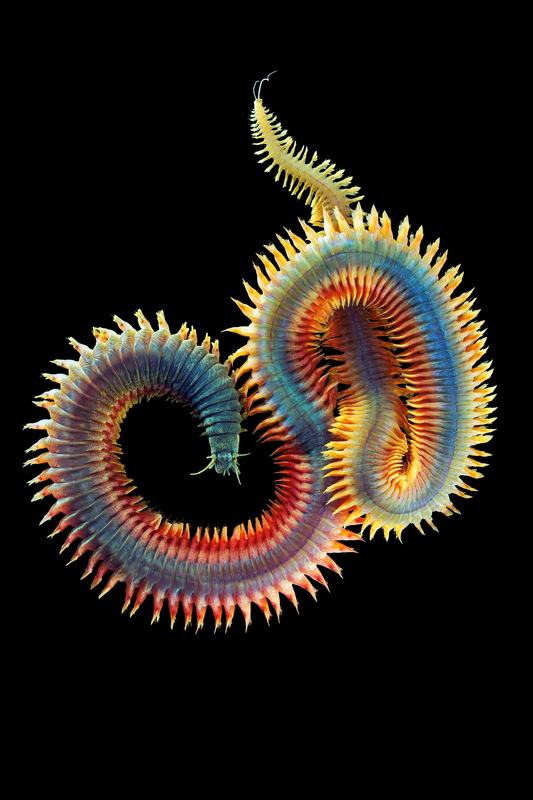 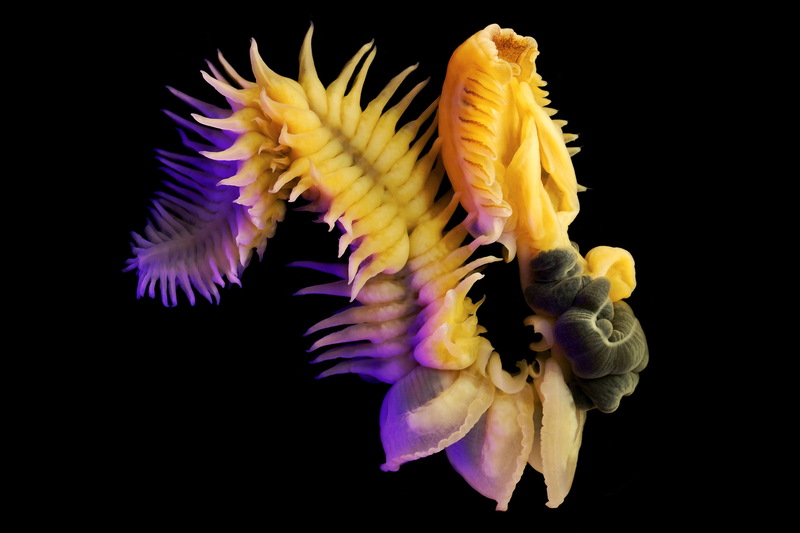 Polychaetes vary in size from microscopic worms invisible to the naked eye to three-meter giants (Eunice aphroditois). 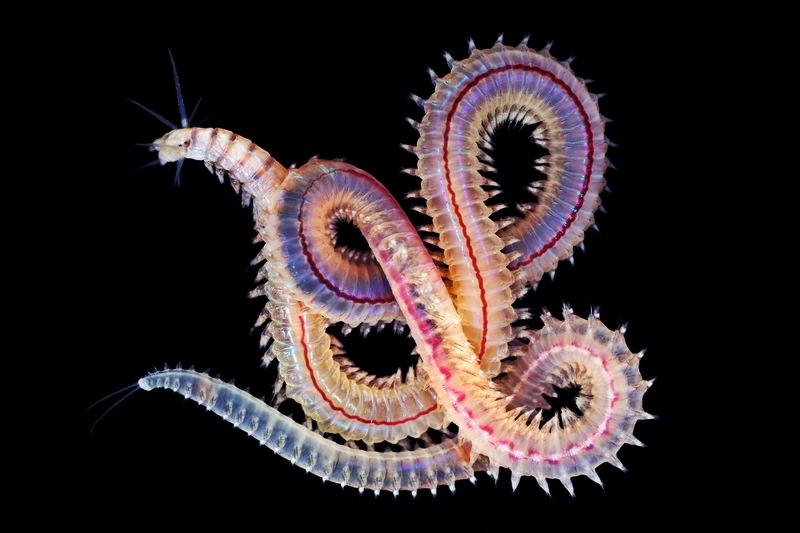 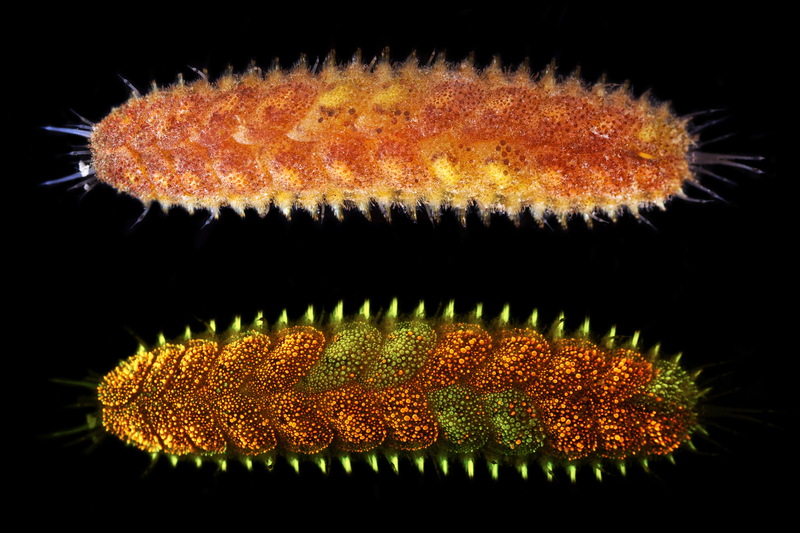 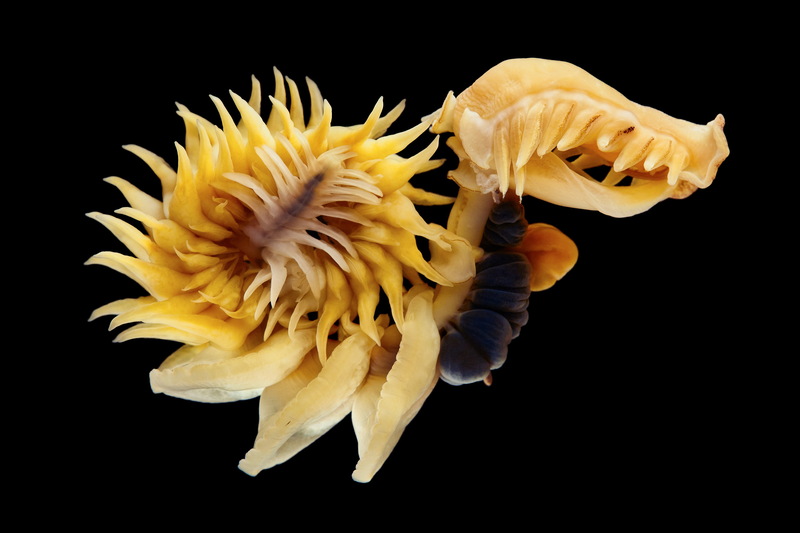 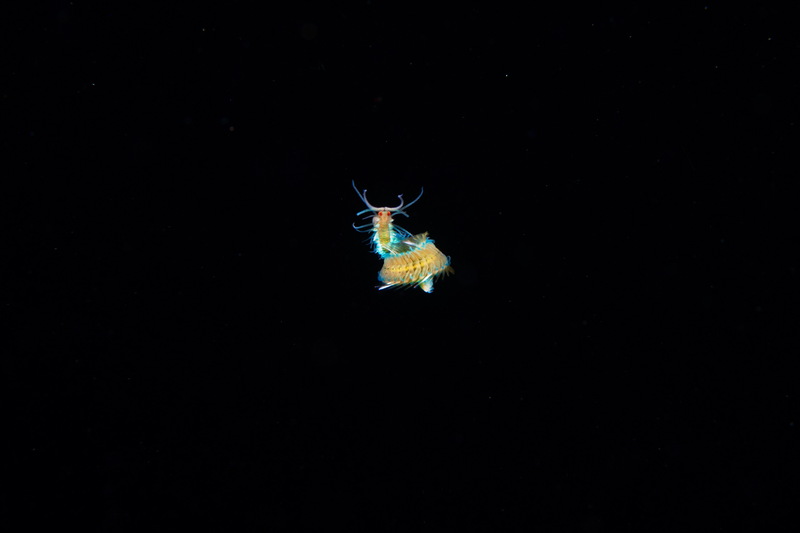 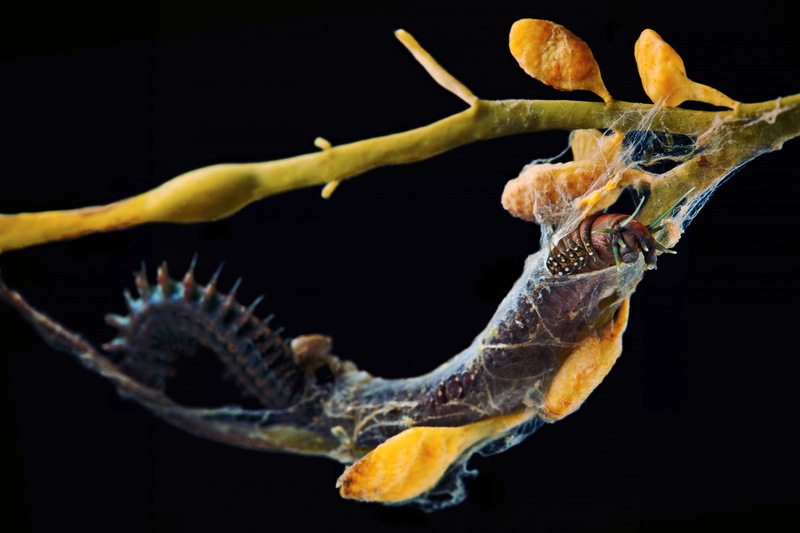 Polychaetes come in two forms: nomadic (or errant) and sedentary. 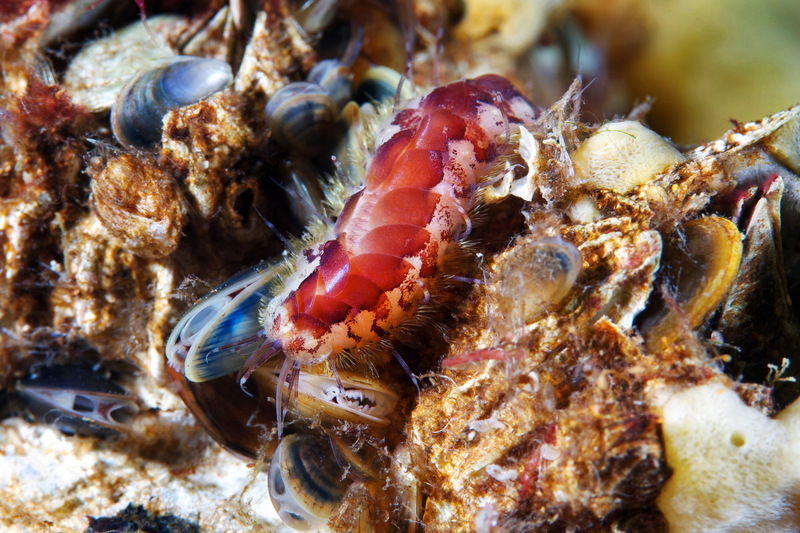 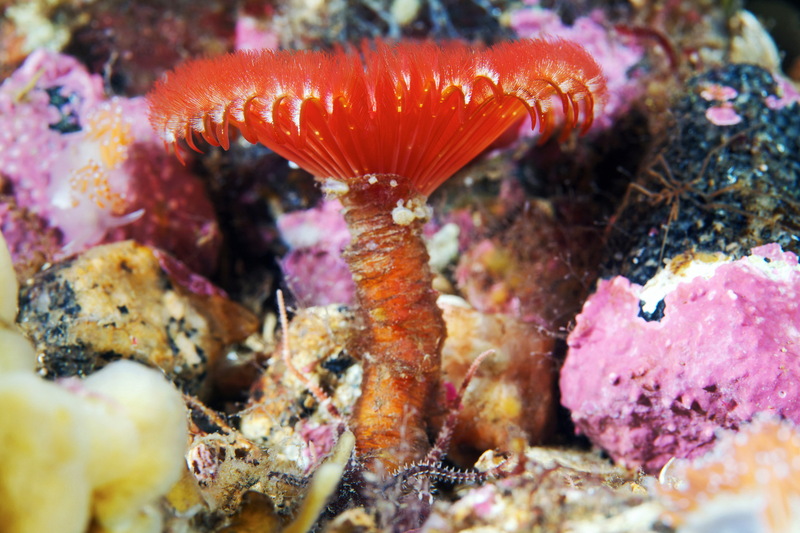 The members of the latter group lead an attached lifestyle and make up a significant part of benthic communities.